Microsoft has reversed its decision not to offer free copies of Windows 7 to beta testers. "To show our appreciation, members of the invitation-only Windows 7 Technical Beta Program will be eligible for a free, final copy of Windows 7 Ultimate." 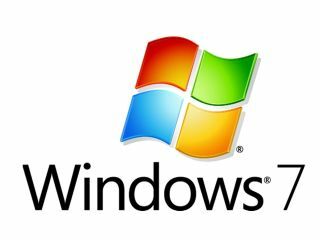 People who took part in the public beta will still have to buy a copy of of Windows 7 - this is restricted to people invited into the Technical Beta Program, who can expect to get their copy on the day that Windows 7 RTM build hits MSDN and TechNet - 6 August. Further details are posted to the .Beta_Program newsgroup, explaining that "all current members of our English technical and international mini-beta programs are eligible. We are offering you a full (non-upgrade) copy of Windows 7 Ultimate Edition for your own personal use, not to be resold." Members of the English beta program can also opt for a "limited amount of boxed copies" available on a first come, first served basis. Those who choose the download will be able to grab their free copy of Windows 7 via Microsoft Connect. As for non-English versions of Windows 7, "other languages will follow as they become available."